For other uses, see Chinese nationality (disambiguation). The constitution of the People's Republic of China states that all persons holding nationality of China are citizens of China. Although in practice, the citizenship of Mainland China is the hukou, while the two special administrative regions, Hong Kong and Macau, each has its own rules on the rights of abode in these territories. In theory, the Chinese Nationality Law is de jure applicable to Chinese nationals residing in all three constituents of the People's Republic of China, namely mainland China, Hong Kong SAR, and Macau SAR. Due to the complex history of Hong Kong and Macau SARs, however, special "explanations" of the Nationality Law were made in place by the National People's Congress before the Handover of Hong Kong and Macau. These interpretations, applicable only to permanent residents of Hong Kong or Macau, have created a separate class of Chinese nationality unique to those two SARs, which differs vastly, especially with the acquisition and loss of nationality, from the Chinese nationality of Mainland Chinese residents with hukou. The law was adopted at the Third Session of the Fifth National People's Congress and promulgated by Order No. 8 of the Chairman of the Standing Committee of the National People's Congress and effective as of September 10, 1980. Prior to the Communist government's establishment in 1949, the Republic of China's nationality law, enacted in 1929, served as the basis for Chinese nationality for Chinese residing in China Mainland. ROC's 1929 nationality law was in force only in Taiwan after 1949 when the Kuomintang government lost the civil war, until it was revised in 2000 (see Nationality law of Taiwan for more details). From the establishment of the Communist regime on 1 October 1949 to 9 September 1980, China had no statutory nationality law except for the Sino-Indonesian Dual Nationality Treaty adopted in 1955, which was a bilateral treaty between China and Indonesia's Sukarno government instead of a statutory law. From the period between 1949 and 1955, China recognized dual nationality as did Taiwan, therefore the Treaty was the first regulation in Chinese history to ban dual nationality between China and other countries. On 10 September 1980, China's current and only statutory nationality law went into effect. The law itself, however, has been criticized for being outdated as many countries have amended their nationality laws to allow dual nationality since the 1990s, and the opinions on whether China should fully permit dual nationality has constantly resulted in heated debates. It is worth-noting that dual nationality is still possible under the current nationality law (see "Dual nationality" below). Chinese nationality law operates mainly on the basis of jus sanguinis ("right of blood"), although a different type of jus soli ("right of the soil", or birthright nationality) applies to any person of Chinese descent who were born in Hong Kong and Macau. On 1 October 1949, most nationals of the Republic of China remaining in China Mainland were recognized as nationals of the People's Republic. At least one of his or her parents has Chinese nationality (Article 4). Both parents are "settled" in China, who are either stateless, or their nationalities cannot be determined (Article 6). The term "settled" is not further defined, and it's unclear whether this term in this particular concept has the same meaning with the same term in other concepts. Children born of Chinese-foreign marriages on territories controlled by People's Republic of China are considered to be Chinese nationals by the government of the People's Republic of China, as per Article 4 of the Chinese nationality law. This can create problems when the Chinese-national parent gives birth to, or fathers, a child with a non-Chinese-national parent in Mainland China without the prior approval from the National Population and Family Planning Commission. In this case, the child is not eligible for Chinese Hukou, and subsequently cannot qualify for a Chinese passport. Furthermore, the child's foreign citizenship acquired through jus sanguinis is not recognized by Chinese authorities as per Article 3 of Chinese nationality law, so he cannot use the non-Chinese passport to exit the country. As a result, the child's parents must secure an Exit-Entry Permit from the Chinese government in order for the child to exit and re-enter Mainland China. However, this restriction does not apply when the Chinese parent is a permanent resident of Hong Kong or Macau (see "Hong Kong and Macau" below). An alternate form of jus soli applies to any persons of Chinese descent resident in Hong Kong or Macau, who were born in Hong Kong, Macau, Taiwan or mainland China. The Explanations of Some Questions by the Standing Committee of the National People’s Congress Concerning the Implementation of the Nationality Law of the People’s Republic of China in the Hong Kong Special Administrative Region, a supplement nationality law document applicable only to Hong Kong residents, states that any Hong Kong resident who "is of Chinese descent and was born in the Chinese territories (including Hong Kong)", before or after the Handover, is a Chinese national with right of abode in Hong Kong. An equivalent provision relating to Macau residents appears in the Explanations of Some Questions by the Standing Committee of the National People’s Congress Concerning the Implementation of the Nationality Law of the People’s Republic of China in the Macau Special Administrative Region, its equivalent of Macau, although with an additional exception that permits Macau residents of mixed Portuguese and Chinese descent to choose their nationality. In practice, many overseas Chinese, who are of "Chinese descent", would not have been Chinese nationals but for the Explanation, so this provision effectively bestowed Chinese nationality on any Hong Kong- or Macau-resident child who is of Chinese descent and was born in Hong Kong, Macau, Taiwan or mainland China, regardless of the nationalities of his parents, in addition to the Right of Abode (ROA) in Hong Kong or Macau. In 2014, a Hong Kong permanent resident who was born in Hong Kong to an ethnic Chinese father and a mother with Belgian citizenship before the handover lost his Belgian citizenship he acquired through jus sanguinis, because of a clause in the Belgian nationality law which requires Belgians born outside Belgium with multiple citizenship to declare the intention to retain their Belgian citizenship. The Belgian Consulate-General used the clause from the "Explanations" to state that the person does hold Chinese nationality after the handover through his birth to a Chinese-descent father in Hong Kong, and thus he held Chinese nationality in addition to his Belgian citizenship before it was lost. The person has never held any proof of Chinese nationality, including a HKSAR passport, a BN(O) passport, or a Home Return Permit, except for his British-issued Hong Kong birth certificate, which the Belgians deemed as sufficient to prove his Chinese nationality. The person is not eligible for the nationality or citizenship of the birth country, regardless of the parents' immigration status in that country (e.g. Japan). The term "settled" is usually taken to mean that the Chinese national parent has permanent residency in another country. Article 5 also states that a person born outside China to parent(s) with Chinese nationality, does not have Chinese nationality if a foreign nationality is acquired at birth and one of the Chinese national parents (or both) has gained that country's permanent residency. An example involving nationality by birth in jus soli countries, including the US, would be that if a child was born in the United States by two Chinese-national parents, and one of them has already acquired US permanent residency, but the other one has only temporary status in the US (e.g. : F-1 or H-1B), then the child is not a Chinese national at birth since one of his parents has settled abroad and he acquired a foreign country's citizenship at birth (in this case, the child is a US citizen at birth). However, if the parent with permanent residency had completed the naturalization process as a US citizen prior to the child's birth, then the child acquires Chinese nationality at birth, since his or her other parent has not settled abroad and is a Chinese national (although the parent with US citizenship has already lost his or her Chinese nationality). The jus sanguinis part of the Chinese Nationality Law applies to all Chinese nationals without discretion, including those who are Hong Kong and Macau residents. Therefore, the situation mentioned above also applies when the parents are permanent residents of Hong Kong or Macau. The Chinese People's Congress has delegated the power to naturalize non-Chinese nationals to Governments of Hong Kong and Macau SARs, so the naturalization process in these two territories differs. In Hong Kong, the Immigration Department is responsible for the entire naturalization process, from processing application to monitoring individuals' progress. In Macau, Direcção dos Serviços Identificação (abbreviated DSI, or in English as the Identification Services Bureau) fulfills the same functions. The ultimate decisions are made by the officials in either departments. In Mainland China, one must file an application to the sub-divisions of Ministry of Public Security. Must be of "good conduct" (i.e. not a subject to any past criminal prohibitions as per either Chinese or international criminal law or have a criminal record in other countries). Must have the ability to integrate into Chinese society, maintain a living based on their own assets or skills, or be a dependant of a family capable of it. Must have basic knowledge befitting a Chinese national, such as an understanding of the Chinese language, traditions, customs, and culture. Despite not being explicitly expressed in the Nationality Law, naturalizing as a Chinese national requires the applicant to be a permanent resident in one of the three constituencies of China. Once naturalized, the person's residency of Mainland China, Hong Kong or Macau will remain unchanged, although naturalizing in Mainland China will also result in the acquisition of hukou. Each constituency has different additional requirements for naturalization. As Chinese law does not recognize multiple citizenship status, all persons who naturalize in any of the three cannot retain their foreign nationalities if they wish to naturalize; they must renounce all their foreign nationalities, either during or shortly after naturalization (as per Article 8). In practice, Mainland China and Hong Kong, foreign nationalities must be renounced as a part of the naturalization process, while in Macau all applicants have up to six months to renounce foreign nationalities upon a successful naturalization; failure or reluctance to do so will result in the revocation of the granted citizenship. In practice, naturalizing as a Chinese national is extremely rare, even more so when the sheer population of the region is taken into account and compared to other comparable regions, such as the European Union, United States and India. Majority of foreign permanent residents simply remain that for the duration of their residency, without ever being asked or forced to naturalize. During the Fifth National Population Census (2000), only 941 naturalized citizens that do not belong to any of Communist Party of China's recognized 56 indigenous ethnic groups (which already includes Koreans, Vietnamese, and Russians) were counted in China's mainland. As of 2010, the total number of naturalized Chinese was only 1,448 in Mainland China, out of the population of over 1.33 billion. In 1990, there were over 3,000. It is worth noting that the naturalization process does not generally apply to nationals of the Republic of China (Taiwan), since their ROC nationality is already considered as Chinese nationality by officials in all three constituencies (see "Taiwan" below). The cost for naturalization differs between the three regions: in Mainland China, the application cost is 50 CNY and the certificate of nationality costs 200 CNY. In Hong Kong, the total cost is HK$3,460, composing of an initial application fee of HK$1,730 and the remaining fee of HK$1,730 (the remaining fee is only payable after a successful naturalization along with the presentation of any certificates of the loss of the foreign nationality). In Macau, the cost for application is MOP 1,000 for the main applicant and MOP 500 per family member, plus a fee of MOP 200 for each certificate. Due to the complex history of the Macanese people, a group of mixed-race people with Chinese and Portuguese ancestry and their residential ties with Macau, the DSI allows a special naturalization process known as "selection of Chinese nationality". The applicant must prove he or she has Chinese ancestry in addition to Portuguese ancestry. Renunciation of Portuguese nationality, however, is not required, so the applicant will usually have dual nationality after the selection. The cost is MOP 200 for main applicant and MOP 100 for each additional family member, plus a certificate fee of MOP 150 per person. voluntarily acquires the nationality (through naturalization or registration) of another country. The term "settled" has the same definition as above. Outside the circumstances of legally automatic loss of Chinese nationality under Article 9, Article 10 provides for voluntary termination of Chinese nationality under certain circumstances, discussed further below. For example, a Chinese national who possesses Canadian permanent resident status and who naturalizes as a Canadian citizen loses his Chinese nationality upon the completion of his naturalization because he has voluntarily acquired Canadian citizenship while settled abroad (holding Canadian permanent residency), and any minor children under the age of 18 he might have also loses Chinese citizenship if the children have naturalized as Canadians along with their parent, regardless of whether the children's acquisition of Canadian citizenship is against their will. Article 9 is only applicable to Chinese nationals who acquire foreign citizenship while settled in a foreign country. On the basis of the treaties relating to the return of Macau and Hong Kong to China and the Basic Laws of the territories, the National People's Congress has issued interpretations of the Nationality Law that deem Hong Kong and Macau, whether before or after their return to China, not to be foreign territory. As a result, residents of Hong Kong and Macau who would normally be deemed to be Chinese nationals (mainly residents of the two territories who are of Chinese descent) are not deemed to be settled in a foreign country, and so do not lose their Chinese citizenship by virtue of acquiring foreign nationality, whether before or after the return of those territories to China. Even if they are recognized as the national of the foreign country under that country's laws, the dual citizenship is not recognized by China under Article 3 of the Nationality Law, except for a limited administrative exemption permitting such persons to travel to and from Hong Kong and Macau respectively using the relevant foreign country's travel documents. As a result, Hong Kong and Macau residents can only satisfy the requirements of Article 9 if they acquire foreign nationality after becoming settled abroad. Alternatively, they can apply to renounce Chinese nationality by virtue of Article 10 of the Nationality Law. This special arrangement applies to Hong Kong and Macau residents; it does not affect the operation of Article 9 in respect of former residents who have become settled in another country and acquire foreign citizenship, as such persons have become settled in a foreign country (and are not resident in Hong Kong and Macau) at the time of legally automatic loss of Chinese citizenship under Article 9. If they return to reside in Hong Kong and Macau, they can notify the acquisition of new nationalities to their respective governments (officially known as the "declaration of change of nationality"), upon which they will be recognized as foreign, rather than Chinese, citizens. See further discussion of Hong Kong and Macau specifically below. There is no provision in Chinese nationality law regarding the involuntary acquisition of another country's nationality can cause the loss of Chinese nationality. An example would be a Chinese woman marries a man from a country observing jus matrimonii (e.g. Iran), in which case she automatically becomes an Iranian national upon marriage. Also, Article 9 explicitly states that only Chinese nationals residing abroad who voluntarily acquires another country's citizenship shall be deemed as forfeiture of Chinese nationality. As a result, a Chinese national residing in China with no permanent residency in any foreign countries who obtains economic citizenship in another country does not lose Chinese nationality. As Article 3 states that China does not recognize dual citizenship, under Chinese law the foreign nationality is not recognized. For example, in 2006, a Chinese citizen who was not settled in Guinea Bissau, but who acquired Guinea Bissau nationality (under local law) by virtue of an investment migration scheme, attempted to enter China on a Guinea Bissau passport and Chinese visa. Chinese border control confiscated the Guinea Bissau passport, on the basis that the person remained solely a Chinese citizen under Chinese law, and so it was illegal for that person to enter China on a Guinea Bissau passport. The Hong Kong Immigration Department and the DSI of Macau allow persons who have acquired additional citizenship or nationalities other than their Chinese nationality to make a "declaration of change of nationality" should they wish to terminate their Chinese nationality and be recognized as a foreign citizen pursuant to Article 9. The cost is cheaper than renunciation under Article 10, but this route is only available for people who have already (legally) lost their Chinese nationality under Article 9. Therefore, notable exceptions to the eligibility of declaration would be persons with dual BN(O) or status and Chinese nationality in Hong Kong (because the acquisition of BN(O) does not involve being "settled" in another country), and those who wish to naturalize in a country which requires the renunciation of foreign nationalities prior to approval (e.g. Japan) (because such persons have not yet acquired foreign nationality). In the latter case, the person must make a renunciation rather than a declaration. The cost for the declaration is HK$145 in Hong Kong and, in Macau, a processing fee of MOP 200 for the main applicant and MOP 100 per additional family member, plus a certificate fee of MOP 150. If a person declares a "change of nationality" while residing in Hong Kong or Macau, he will lose the right to hold a SAR passport and apply for a Home Return Permit, and hence lose the right to stay and work in Mainland China without additional documentations. He is also going to be subject to visa restrictions when entering Mainland China. Also, if the person chooses to leave Hong Kong or Macau for a continuous period of more than 36 months, then his permanent resident status in the SARs will be downgraded to a non-permanent resident status known as "right to land", which grants him to stay in the SARs indefinitely and take employment, but not the immunity from deportation (although the PR status can be resumed if he lives in Hong Kong or Macau continuously for seven years through a simple declaration). Although not specified in the Nationality Law, the application for renunciation can be easily refused in Macau if the applicant is not receiving another country's nationality or citizenship after renunciation. In Hong Kong, the Immigration Department also states that one is only eligible to file an application if he shows the need to renounce Chinese nationality prior to receiving citizenship in another foreign country (e.g. Japan or Singapore). Mainland China, however, does not require the applicant to become another country's citizenship after renunciation. Therefore, it's possible for a Chinese national with Mainland residency to become stateless after the renunciation of their Chinese nationality. For Mainland Chinese residents, the application for renunciation can be filed with the sub-divisions of the MPS. The time period for processing an application is not specified by rules, and it can take up to one year. In Hong Kong and Macau, the Immigration Department and the DSI handle the applications from the respective territories. Certain Chinese foreign missions also handle renunciation applications for Chinese residing abroad (mostly those in countries which require Chinese nationals to renounce their nationality prior to naturalization). A person who has forfeited or renounced his Chinese nationality can request to restore his Chinese nationality, according to Article 13 of the nationality law, if they have "legitimate reasons". The term "legitimate reasons" is also not further defined. Foreign nationality must be renounced for approval. The governments of Hong Kong and Macau SARs require that the applicant must still have his PR status in Hong Kong or Macau prior to the restoration of one's Chinese nationality and currently residing in Hong Kong or Macau at the time of application. Non-Chinese national's PR status usually expires after 36 months of continuous absence from Hong Kong or Macau and can only be recovered after seven years of continuous residence, although it is possible for an ex-Chinese national to retain the status by visiting Hong Kong or Macau at least once every 36 months. Simply visiting Hong Kong or Macau as a PR is insufficient for the restoration. The government of Mainland China is more ambiguous on who can restore Chinese nationality as the published guideline is the same as the clauses of the Nationality Law. Several high-profile individuals had successfully restored their Chinese nationality, including scientist and researcher Shi Yigong, and businesswoman Kelly Zong, daughter of business tycoon Zong Qinghou. Both Shi and Zong were Chinese nationals at birth and naturalized as U.S. citizens, and later both renounced their U.S. citizenship. The exact number of restoration each year, however, is unknown as the Mainland government does not publish the reports on immigration records. The restoration process can be costly for applicants and can cause statelessness if the application is turned down. One of such cases occurred in 1993 to Shanghai-born Li Wenbiao. Li, who was a Chinese national at birth, became a naturalized Bolivian citizen in 1993, thus resulting the loss of his Chinese nationality. Li entered Japan in early March 1995 with a 90-day business visa. While Li's intention was to leave Japan before the visa's expiry date, his Bolivian passport was expiring in April, and as a naturalized Bolivian citizen, his passport could only be extended in La Paz rather than the Bolivian Embassy in Tokyo. At that time, Li decided that the cost was too great to fly back to Bolivia just to have the passport extended, so he decided to have his Chinese nationality restored instead. As per the requirement of the Chinese Embassy in Tokyo, he renounced his Bolivian citizenship during the process. However, Li's application was denied by the MPS in June as he did not have a Japanese long-term visa. By that time Li was already in breach of the Japanese immigration law by remaining in Japan after his visa expired in late May. Struggling to make a living at the time, Li worked 3K jobs before he became a worker of seitai and started his own shop in Tokyo. In 2007, he applied for Special Permission of Residence, an amnesty long-term residence permit issued to illegal immigrants in Japan subject to good behavior and the discretion of Ministry of Justice officials. His application was approved by the Minister of Justice in November 2010, and he subsequently submitted his restoration application again in August 2011. His nationality was officially restored in November as he was issued a Chinese passport by the embassy, thus ending 16 years of his statelessness. Visa requirements for Chinese nationals vary greatly in regards of their residential status. In 2015, Chinese nationals with hukou of Mainland China have visa-free or visa on arrival access to 45 countries and territories, ranking the Mainland Chinese passport 90th in the world according to the Visa Restrictions Index. Chinese nationals with Hong Kong permanent resident status, however, have visa-free or visa on arrival access to 152 countries and territories, while Chinese nationals with permanent status in Macau have access to 120 countries and territories. The HKSAR and MSAR passports are ranked at 20th and 36th place, respectively, by the Visa Restrictions Index. The high ranking of both passports can be attributed to the economic successes of both SARs, as well as the independent immigration policies from Mainland China under the One China, Two Systems policy. Chinese nationals with hukou also need special permits and visa-like authorizations (locally known as Two-way permits and exit endorsements) in order to visit Hong Kong and Macau, with a limit on the length of stay (normally 7 days) per trip; whilst Hong Kong and Macau residents need the Home Return Permit to visit Mainland China, although they are not subject to any limitations on the length of stay. Deportations between these territories are possible due to completely separate immigration regulations. These inner-country visa requirements make China unique as one of the few countries with different immigration controls within one country. The nationality law states that China does not recognize dual nationality with any other country (Article 3), although the clause can be interpreted differently based on the residency of a Chinese national. For residents of Mainland China with hukou, Article 3 and Article 9 have set forth the grounds for de jure loss of Chinese nationality. In reality, however, the actual loss of Chinese nationality for Mainland residents is difficult to enforce due to technical difficulties, such as lacking in record-sharing agreements with other countries. It is worth mentioning that unlike Indian nationality law, Chinese nationality law does not have any provisions restricting Chinese nationals from holding foreign passports. Because Chinese nationals who are residents of Hong Kong and Macau cannot automatically lose Chinese nationality under Article 9 even after acquiring foreign nationality (see above), such persons would only lose Chinese nationality if they renounce Chinese nationality (see above). In this case, their non-Chinese nationality or citizenship is simply ignored by the Chinese authorities. Further, Hong Kong and Macau residents who acquire foreign citizenship while settled abroad, and who therefore legally lose Chinese citizenship under Article 9 are, in practice, treated as Chinese nationals unless they undertake the administrative step of notifying the change of nationality to the authorities of the respective territories. The declaration is not enforced, so such persons who return to reside in Hong Kong and Macau are treated as Chinese nationals owing to Article 3. Although it is generally difficult to have de facto dual nationality of China and another country for residents of Mainland China, due to the provisions for loss of Chinese nationality in Article 9 (see "Loss of nationality" above), and the stipulation that a foreigner who naturalizes in China cannot retain their foreign nationality (see "Naturalization" above), the number of dual nationals have, nevertheless, increased in recent years. This is mainly because birth tourism has become popular among Chinese nationals residing in Mainland China, who travel to countries observing jus soli to ensure their offspring acquires the birth country's nationality. If a person concurrently holds de jure Chinese nationality and foreign nationality or citizenship, he or she will be treated solely as a Chinese national when the person is physically present on PRC soil (including Hong Kong and Macao), as per Article 3 and the Master Nationality Rule. The basis of the loss and renunciation of Chinese nationality for dual citizenship holders is the same with sole Chinese citizenship holders per Article 9 and Article 10. Cases involving dual nationality is covered, although not explicitly stated, under the Nationality Law, which ensures the possibility for a person to have dual nationality of China and another country at birth in some circumstances. According to China News Service, the authority of Mainland China is considering the possibility of issuing Card of Chinese Origin to Chinese who has obtained other nationalities, inspired by India's Persons of Indian Origin Card and Overseas Citizenship of India. The card holders will have the same rights and obligations as Chinese permanent residency holders. But as of 5 August 2017, this has not come into fruition and the article has since been removed. A person who was born outside Mainland China, Hong Kong or Macau to one or two Chinese-national parents who have not settled abroad is a Chinese national at birth (Article 5). He may acquire additional nationality (nationalities) at birth through jus soli, if born in a jus soli country; or from his other parent (if only one parent was a Chinese national) through jus sanguinis; or both. Article 5 is applicable to children holding Chinese Travel Documents, mostly children of birth tourists, and serves as the legal basis of these children's Chinese nationality. A child born outside China does not automatically acquire Chinese nationality if the parents, who are Chinese nationals, themselves settle permanently outside China and the child is eligible to acquire that country's nationality at birth. In general, most second generation overseas Chinese ("Chinese Americans", "British Chinese" or "Chinese Canadians", etc.) and many South East Asian nationals of Chinese ethnicity are not Chinese nationals (although some may qualify for nationality of Taiwan) through their Chinese grandparents. A person who was born in Mainland China, Hong Kong or Macau to one Chinese-national parent is a Chinese national at birth (Article 4). If his other parent is a non-Chinese national, he might acquire additional nationalities at birth through jus sanguinis from the non-Chinese parent. In this case he is not a Chinese national. British National (Overseas), a status currently held by many Hong Kong permanent residents, is considered a type of British nationality by countries other than China, nearly 3.4 million Hong Kong residents were registered as BN(O)s before the handover of Hong Kong. Most of those people also have Chinese nationality, making them one of the largest group of dual nationals in the world. Portugal has never created an various classes of nationals nor has Portugal revoked Portuguese citizenship from Portuguese citizens of Chinese descent in Macau. Most Macau residents born in Macau before 1981 remain citizens of Portugal and their descendants are eligible to be registered as Portuguese citizens. In general, Hong Kong and Macau residents of Chinese ethnicity are Chinese nationals, regardless of their dual nationality (see below). They are Chinese nationals by law in both SARs unless they submit a declaration to the director of immigration of their respective SAR government stating their intention to be treated as a foreign national in the SARs, but that would constitute a renouncement of his/her Chinese nationality and the person would lose the rights to apply for a passport issued by the SAR governments or a Mainland Travel Permit for visa-free travel to mainland China. Chinese authorities will regularly treat ethnic Chinese as nationals of their country, even if they're in fact, aren't. Chinese authorities may arbitrarily deny access to holders of foreign passports, despite being Chinese nationals. The government of the People's Republic of China considers both Hong Kong and Macau to have always been Chinese territories, and people born in either territory before or after their transfer of sovereignty to China are regarded as "born in China". Those who are of ethnic Chinese origin are Chinese nationals before and after the handovers. Having said that, people born in Hong Kong or Macao in the years before handover, were usually given British nationality (mostly British Dependent Territories Citizenship) and full Portuguese citizenship, based on British and Portuguese laws. For Hong Kong residents, the "Interpretation" of the Nationality Law was adopted at the Nineteenth Session of the Standing Committee of the Eighth National People's Congress on May 15, 1996, a year prior to the Hong Kong handover and came into effect on July 1, 1997. The "Interpretation" provide details concerning the implementation of Chinese Nationality Law on Hong Kong residents, and the main idea of the Interpretation is that all Hong Kong residents of Chinese descent who were born in the Chinese territories are considered Chinese nationals, whether or not they have acquired the "right of abode" in foreign countries. In effect, this means foreign nationalities under the respective foreign laws. The reason for referring to the foreign "right of abode" instead of foreign nationality is to avoid making an exception to, or breaching, the basic principle of Chinese Nationality Law on non-recognition of dual nationality, and also because China regards foreign control of Hong Kong as illegitimate, thus refuses to recognize the British nationality bestowed on ethnic-Chinese people who were born or naturalized in Hong Kong. Legally speaking, Hong Kong residents with Chinese nationality do not lose their Chinese nationality automatically upon acquiring foreign one(s), because Hong Kong itself is not recognized as a foreign territory whether before or after 1 July 1997, and automatic loss of Chinese citizenship requires settlement in a foreign country. Persons with BN(O) or British Citizenship acquired through the British Nationality Selection Scheme do not lose their citizenship automatically under Article 9 because their acquisition of BN(O) or British Citizenship does not involve "settling in a foreign country", and so does not meet the requirements on the grounds of the loss of Chinese nationality provided in Article 9. They may not apply to renounce their Chinese citizenship under Article 10 (see above), and if tried, such applications will not be approved due to the non-recognition of such person's British nationality. Former Hong Kong residents who become settled in another country and acquire foreign citizenship do lose their Chinese citizenship as a matter of law under Article 9, but in practice, for such foreign citizens who return to reside in Hong Kong, such change of citizenship is only recognized within Hong Kong after making a declaration of the change of nationality at Hong Kong's Immigration Department. Once the declaration is made, such persons would be released from their Chinese nationality. As under the Interpretation, the relevant forms of British nationality are not recognized as acquired after settling in a foreign country: the British Nationals (Overseas) status held by people of Chinese descent born in China (including Hong Kong), and the British Citizenship held by Chinese Hong Kong residents under the British Nationality Selection Scheme (British Nationality (Hong Kong) Act 1990). Furthermore, Hong Kong Chinese nationals who hold such passport or have a right of abode in countries outside the People's Republic of China are not entitled to British (or any other nation's) consular protection inside the People's Republic of China (including Hong Kong, Macau and mainland China), owing to Article 3 of the Nationality Law and the Master Nationality Rule. Such persons are also not allowed to renounce their Chinese nationality by renunciation (unless holding another foreign nationality), as China consider such persons will become stateless upon losing Chinese nationality (as the Chinese authorities does not recognize the British nationality of such persons). Based on the clauses outlined in the "Interpretations", it is possible for a Hong Kong permanent resident to be a Chinese national without the person's acknowledgement, even if the person has never held a HKSAR passport or a Home Return Permit. The Immigration Department is authorised to naturalise foreign or stateless people as Chinese nationals in Hong Kong. In the first year after the handover, there were only 152 applications for naturalisation; the majority of applicants were Chinese Indonesians. Some residents of South Asian descent, faced with the prospect of their children being stateless, have been naturalised as well. However, in the early years after the handover South Asians claimed that the Hong Kong government discouraged them from naturalisation. It took until December 2002 to see the first case of successful naturalisation application by an ethnic minority resident with no Chinese relatives, a Sindhi girl, soon followed by a Pakistani man. The Immigration Department denied that there had been any change in policy, but South Asian organisations believed there had been a definite change of attitude inside the government towards naturalisation. From the handover to April 2005, a total of 4,372 people applied for naturalisation. Of the 3,999 applications processed by that date, 3,786 (95%) were successful. Most applicants were Indonesians (1,735), Pakistanis (833), Indians (552), or Vietnamese (547). (These numbers refer to former nationality; the government did not collect statistics on their ethnic background.) From 2008 to 2010, another 4,099 applications for naturalisation were received, of which 71% were approved; eight-tenths of the applicants were nationals of South Asian countries. Similar implementation for Macau was adopted at the Sixth Session of the Standing Committee of the Ninth National People's Congress on December 29, 1998. Unlike the UK, Portugal did not have an overseas nationality, which means that residents of Macau had the same type of Portuguese nationality as those in Portugal. Unique provisions include clarification for individuals of both Chinese and Portuguese descent, who may choose either Chinese or Portuguese nationality without losing right to abode. Negotiations between China and Portugal over Macau were considerably smoother than those between the United Kingdom and China over Hong Kong, and in the former a pragmatic practical agreement was understood making double nationality possible "de facto" for Chinese and Portuguese nationals with a previous or ongoing relation to Macau. In practice, Portuguese nationality is still being held by Macau residents (both Chinese & Portuguese) who were born in Macau before 1981 and those who were naturalized in Macau, as well as their descendants regardless of their places of birth. Cases involving nationalities of the ROC (Taiwan), and the PRC, are complicated as both governments have, especially during the Kuomintang's rule after the lifting of martial law, embraced the "One-China" policy through numerous pieces of legislation, and neither the PRC nor the ROC considers nationals from respective territories to be foreign. In PRC, nationals of ROC are commonly known as "Taiwanese compatriots" in news articles and for legislation purposes, "Chinese citizens residing in Taiwan", and in ROC, nationals of PRC are legally known as either "people of Mainland area" or "residents of Hong Kong or Macau" in their respective regions of residence. Before July 2015, ROC (Taiwan) nationals had no automatic rights of residence in China Mainland and must use their Mainland Travel Permit for Taiwan Residents accompanied with a visa-like entry endorsement to enter Mainland, and the duration of stay is generally limited to three months each per entry, any longer stays will usually involve a visa-like application. Since July 2015, however, the PRC has amended the legislation to remove entry restrictions placed on ROC nationals, this includes the removal of the requirement to obtain entry endorsements as well as the 90-day stay limit per trip (the Travel Permit mentioned above is the only required document for travelling to Mainland China). ROC nationals are therefore generally free to enter the PRC and remain indefinitely. Currently ROC nationals can take up residence in the Mainland (PRC) without additional documentation and enjoy comparatively higher level of flexibility for employment than foreign nationals, much like permanent residents of Hong Kong and Macau residing in the Mainland, they are however, deemed as foreigners administratively when opening or investing in businesses or purchasing real estates. Also, since November 2015, ROC nationals residing in Shanghai can enjoy the city's discounted health care, access to discounted public education, social insurance and pensions, among some other social services otherwise offered only to PRC nationals with hukou in Shanghai. These new rules have generated controversies due to the fact that most of these social services are not even accessible to PRC nationals with hukou outside Shanghai, as well as claims from Taiwanese independence supporters that the mainland authority is trying to establish Taiwan as an integral part of the PRC. On the other hand, PRC nationals of mainland China are subject to a stricter level of immigration control when entering ROC-controlled territories, compared to citizens of some countries like Canada, UK or the USA, having to obtain an Entry Permit (much like a visitor's visa, but printed on a separate piece of paper) in order to enter ROC, the Entry Permit can be obtained either online, through a travel agency or through one of the ROC diplomatic commissions abroad. Starting from 2015, however, the ROC government has relaxed its entry requirements for PRC nationals visiting Kinmen, Penghu and Matsu Islands near the mainland-controlled province of Fujian (Kinmen and Matsu also belongs to Fukien province of the ROC), as they can obtain a 15-day Entry Permit on arrival to the islands by sea when travelling directly from Fujian (traveling to Taiwan still requires a pre-approved Entry Permit). PRC-national students studying in ROC are also not covered by the universal healthcare system of Taiwan, which renders their statuses similar to foreign-national students in Taiwan. Out of mutual understandings, the PRC authorities also exerts exit restrictions to its own nationals residing in Mainland by only allowing nationals with hukou from a certain number of cities to travel to Taiwan for individual tour (those eligible individual PRC travelers are also subject to a daily quota when arriving from PRC territories), while nationals not having hukou in those cities are required to be in a supervised tourist group when visiting Taiwan. PRC nationals with long-term or permanent resident statuses in foreign countries are not subject to the above-mentioned hukou restrictions as long as they arrive from a third country. As for permanent residents of Hong Kong and Macau of Chinese nationality with Hong Kong SAR passport or Macau SAR passport, an ETA-like Travel Permit has to be obtained online at least 24 hours before travelling to Taiwan (ROC) as a tourist, otherwise they are subject to more complicated immigration procedures (visa-on-arrival) and sometimes additional inspections on arrival, as in the case of Chinese citizens of Mainland, their passports are not stamped on entry to the island and they are instead issued a sheet of paper detailing the permitted duration and conditions of their stay. For Hong Kong and Macau permanent residents of Chinese nationality, immigration for settling is generally more relax compared to citizens of other countries, and scholarships funded by the ROC (Taiwan) government are offered to them along with other Overseas Chinese when studying in Taiwan, that has resulted in a trend of Hongkongers and Macanese migrating to Taiwan. In accordance with the Act Governing Relations between the People of the Taiwan Area and the Mainland Area of the ROC, any ROC national with Household Registration (ROC nationals with full citizenship rights in Taiwan) who obtains a passport issued to Mainland residents of the PRC or hukou of Mainland China, automatically loses his Household Registration in Taiwan, which in turn causes the loss of the person's citizenship rights in the ROC (since he or she has already obtained the de facto citizenship of Mainland China). However, the person does not cease to be a ROC national and instead becomes a "person of the Mainland area" with ROC nationality, in addition to PRC nationality he acquires. It is worth-noting that there are no similar legal restrictions for ROC nationals to obtain the permanent resident status of Hong Kong or Macau. Some of the permanent residents of Hong Kong or Macau with PRC nationality also possess ROC nationality because they have obtained the Overseas Chinese Identity Certificate prior to the handover of the sovereignty of Hong Kong and Macau, therefore they are dual nationals of both the ROC and PRC due to the permanent resident status they already have in Hong Kong or Macau, and are entitled to passports issued by the respective SAR governments. However, they do not have full citizenship rights in Taiwan due to the lacking of Household Registration. The National Household Registration System, also known as hukou, serves as the de facto citizenship for Chinese nationals residing in Mainland China. Despite Article 33 of the Constitution declared all nationals to be citizens of the PRC, there are still a number of Chinese nationals without hukou, rendering them nationals without citizenship. Under the Nationality Law, any person born to a Chinese national parent in China is a Chinese national at birth as per Article 4. However, due to the previous enforcement of the One-Child Policy in Mainland China, some children, whose births were in violations of the local birth-planning policies (e.g. born as the second or third child to the parents), did not have their births registered despite Article 7 of the Household Registration Ordinance requires the birth of a child to be registered within one month from the date of birth. As their births were not registered, they are not eligible for hukou. The reason for not registering is either because their parents chose to avoid the unaffordable fines (two to six times of the parents' combined annual income) imposed by the National Population and Family Planning Commission in the locality, or because officials in the local NPFPC had refused the child's registration because of the officials' fear of possible disciplinary actions taken against them for not enforcing the birth control rigorously in their locality. As a direct result from the lack of hukou, these children are denied basic rights to citizens, including social welfare, education, and treatments in hospitals. They also cannot obtain Chinese ID cards, which are critical for travelling inside Mainland China, opening bank accounts, applying for jobs, and getting Chinese passports. The number of people without hukou was estimated at 13 million in 2011, or one percent of the total population at that time. A similar status, national without household registration, also exists in Republic of China. The main differences are that NWOHRs exist in the legal concepts of the ROC, are usually residents of other countries than Taiwan, and have official identification documents issued by Government of Republic of China (usually Taiwanese passports); while Chinese nationals without hukou are not mentioned in any legal documents in China, all reside in Mainland China, and are not eligible for any official identification documents. However, Chinese nationals without hukou are not subject to any immigration controls nor legal restrictions on employments (as they are not mentioned in any legal documents and cannot obtain passports), unlike NWOHRs, who can only remain in Taiwan for a limited period of time with special visas and cannot take up employments without the consent from the ROC Government. 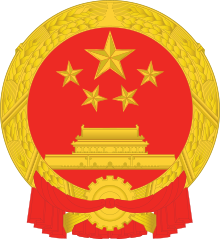 ^ Constitution of the People's Republic of China, Article 33. ^ a b c "Explanations of some questions by the Standing Committee of the National People's Congress concerning the implementation of the Nationality Law of the People's Republic of China in the Hong Kong Special Administrative Region". Immigration Department, The Government of the Hong Kong Special Administrative Region. ^ a b c "全國人民代表大會常務委員會關於《中華人民共和國國籍法》在澳門特別行政區實施的幾個問題的解釋". Gabinete do Chefe do Executivo. Retrieved 2015-05-24. ^ a b "该不该给"双重国籍"松绑". www.people.com.cn. Retrieved 6 August 2015. ^ "Nationality Law in Hong Kong". 14 March 2012. ^ "China's Middle Class Chafes Against Maze of Red Tape". The New York Times. Retrieved 2015-05-24. ^ a b "Belgian man stateless in Hong Kong after losing citizenship when renewing passport". South China Morning Post. Retrieved 2015-05-24. ^ a b c d e "Nationality Application". Direcção dos Serviços Identificação. ^ a b c d "Application for Naturalisation as a Chinese National". ^ a b c d "申请加入中国国籍 (Application for Naturalization as a Chinese National)". Ministry of Public Security. Archived from the original on 2015-12-10. ^ a b c d e f g "Nationality Law of the People's Republic of China". Immigration Department, The Government of the Hong Kong Special Administrative Region. ^ Who is Chinese? The upper Han, The Economist, 19 November 2016 (page visited on 19 November 2016). ^ Carney, John (2012-12-16). "Figures reveal thousands from ethnic minorities have won naturalisation". South China Morning Post. Retrieved 2012-12-19. ^ "达曼人：加入中国国籍的尼泊尔人之入籍(图)". Lotour. 2010-06-27. Archived from the original on 2015-12-08. Retrieved 2015-12-09. ^ "女孩为上名牌大学 办假护照偷渡三亚被抓". 搜狐教育. Retrieved 2014-12-15. ^ a b "Application for Change of Nationality". Direcção dos Serviços Identificação. ^ a b "Application for Declaration of Change of Nationality". Immigration Department, The Government of the Hong Kong Special Administrative Region. ^ "Application for Renunciation of Chinese Nationality". Direcção dos Serviços Identificação. ^ "Application for Renunciation of Chinese Nationality". Immigration Department, The Government of the Hong Kong Special Administrative Region. ^ a b c "申请退出中国国籍 (Application for Renunciation of Chinese Nationality)". Ministry of Public Security. Archived from the original on 2015-12-11. ^ For a list of documentary requirements for renunciation for Mainland residents see http://lawandborder.com/renunciation-chinese-nationality/. ^ 无国籍华人李文彪：一个人的生存战争 (In Chinese)" Chuben.com, January 2011. Retrieved on 7 December 2015. ^ 无国籍华人李文彪17年后重获中国国籍 (In Chinese)" Chuben.com, December 2011. Retrieved on 7 December 2015. ^ "Which countries allow Dual Citizenship and which don't?". 25 April 2014. ^ "中国“硅谷”中关村将试点移民入籍、华裔卡等制度 (In Chinese)" China News Service, 27 November 2015. Retrieved on 7 December 2015. ^ a b "Applications for naturalisation as Chinese nationals". Info.gov.hk. 2005-05-18. Retrieved 2011-05-28. ^ Schloss, Glenn (1998-08-31). "Indonesians behind bulk of applications for citizenship in Hong Kong". South China Morning Post. ^ Shamdasani, Ravina (2002-12-02). "HK-born to Indian parents, but Vekha is now Chinese; Nationality and a passport granted to girl in the first case of its kind". South China Morning Post. Retrieved 2011-05-28. ^ Shamdasani, Ravina (2002-12-15). "First Hong Kong Pakistani gets Chinese nationality". South China Morning Post. Retrieved 2011-05-28. ^ Article 2 of the "Measures for the Administration of Chinese Citizens Travelling to or from Taiwan Region". Peking University Center for Legal Information. ^ a b "Act Governing Relations between the People of the Taiwan Area and the Mainland Area". Laws and Regulations Database of the Republic of China. Retrieved 2015-10-02. ^ "Laws and Regulations Regarding Hong Kong & Macao Affairs". Laws and Regulations Database of the Republic of China. Retrieved 2015-10-02. ^ "台湾民众享上海准市民待遇 新规将于11月1日实施". 华夏经纬网. Retrieved 2015-10-02. ^ "MAC urges public not to use Chinese passports - Taipei Times". www.taipeitimes.com. ^ "在臺無戶籍國民首次申請中華民國護照者規定". Bureau of Hong Kong Affairs. Retrieved 2015-10-02. ^ "中华人民共和国户口登记条例". National People's Congress website. 2000-12-10. Retrieved 2015-06-13. ^ "像影子一样活：超生"黑户"的18岁人生". Southern Weekly. 2011-06-17. Retrieved 2015-06-13. This page was last edited on 24 April 2019, at 08:33 (UTC).